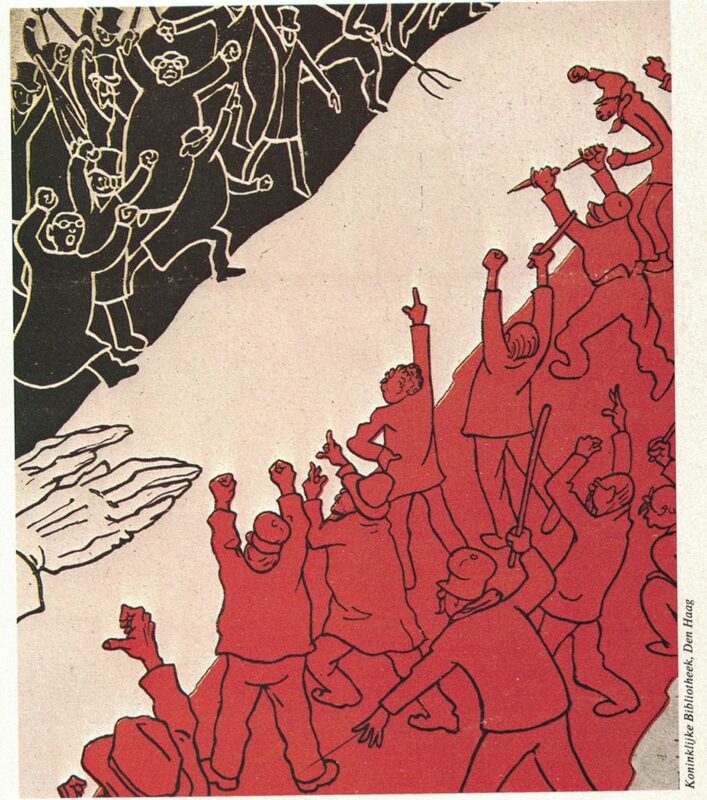 Satire, irony, humor, all used to make propaganda, criticize politics, and otherwise put a different perspective on dreadful experiences by making people laugh (Source cartoons: 14-18 De Eerste Wereldoorlog, Amsterdam Boek, 1975). 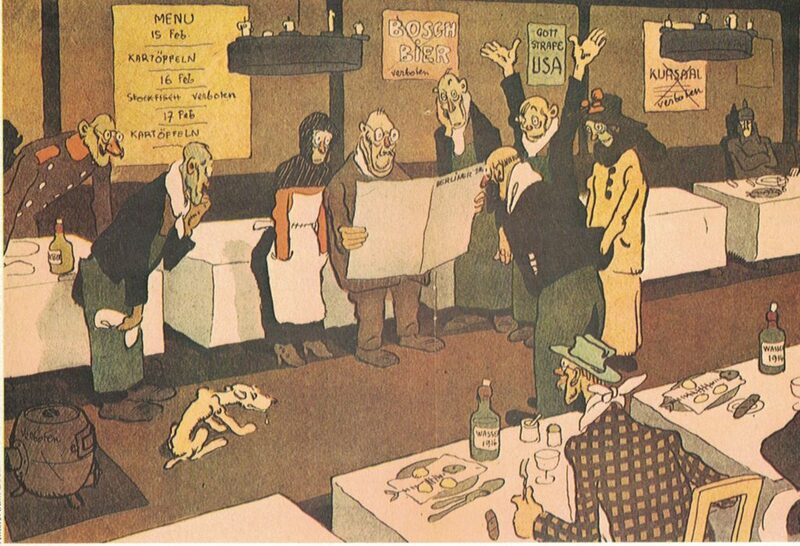 The French magazine ‘La Baïonnette’ published this cartoon showing a German restaurant. A guest reads from the newpaper: ‘those poor French only get two dishes’, to which another replies: ‘what, every day?’. The signs on the wall show the daily menu to be potatoes. On the tables are bottles of water instead of wine. 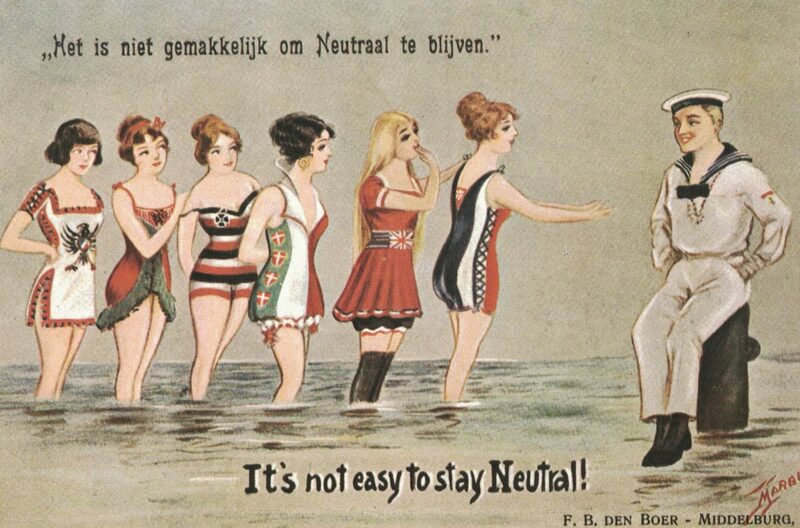 “It’s not easy to stay Neutral” – Dutch postcard showing the belligerent countries trying to seduce the Netherlands to join the war. 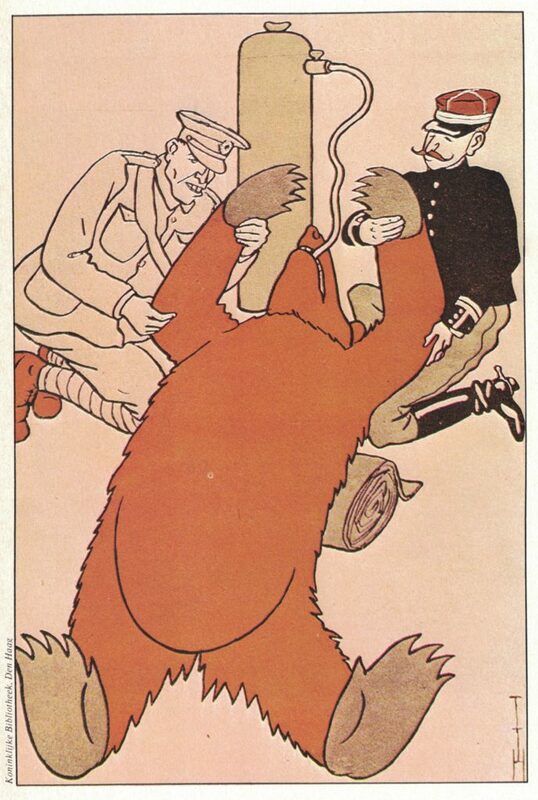 Simplicissimus, a German satirical weekly magazine, published this cartoon on November 13th, 1917, showing England and France trying to resuscitate Russia. Simplicissimus published this cartoon on November 27th, 1917, illustrating the internal revolution going on in Germany, when it became clear thet the war was lost. The German flag at the time had the colours black, white and red.